Here's that LittleBigPlanet 2 release date you were looking for: November 16. That's just under four months away, which leaves you just enough time to make some tough decisions. Here are your choices: you can either pre-order the game from select retailers to score a number of special costumes -- as seen in our gallery below -- or you can opt for the $80 Collector's Edition, which is also a limited edition, by virtue of actually being limited. Re: LittleBigPlanet 2 Arriving November 16. 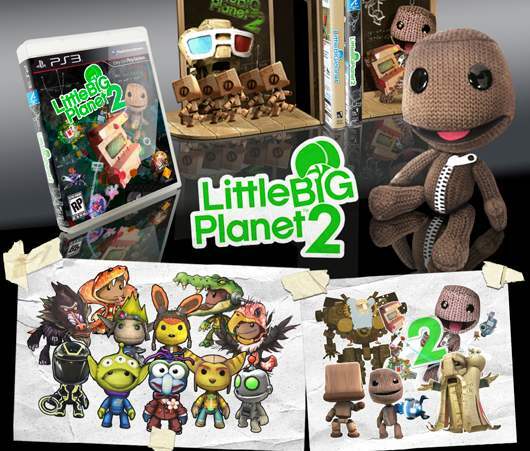 Yeah definitely want the collectors edition with the plushie sackboy.